"Participation is the New Consumption"
I’ll start, rightly I think, by paying my respects to those who were and are the custodians of this land from a time long prior to European settlement. I acknowledge their deep and rich sense of care for the land and encourage us all to do what we can to learn from their example and, in so doing, to work for a true reconciliation. Earlier this week I was watching a video presentation and some words of the presenter that particularly caught my ear were these: “Participation," she said, "is the new consumption!” Let’s think about that for a moment. Consumption flags in our mind a process where you as supplier stand over there and I as consumer stand over here and a product or service moves from one set of hands to the other. But apart from that good or service, not much of my human story or your human story seems to be included in the exchange. You are a passive deliverer and I am a passive receiver. The point of that video presenter’s words is that, increasingly, humans don’t want to put up with a disembodied transaction – they don’t just want an exchange where I invest nothing in the production process until (or nearly until) a finished good or service changes hands. Humans want participation in the process. The consumption of a new age is not that disembodied outsourced process. It is a participatory process where I am involved in the shaping of the things that come my way and something of my essential humanity is infused into them. 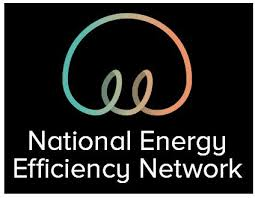 The National Energy Efficiency Network (NEEN) is a nod to this participatory process. Its DNA is the stuff of people in local communities shaping their future by participating to improve the energy performance of their organisations. That video in which I heard the “participation is the new consumption” comment was prepared by a non-religious organisation. The lead organisation behind NEEN is Catholic Earthcare – a religious organisation. Search a little bit within Catholic circles and you’ll hear informed theologians talking about the idea of “the turn towards participation.” This is the idea – and I don’t believe it is peculiar to Catholic or even just Christian understanding – that we enrich our sense of universal meaning (our sense of God in religious language) when we participate deeply in the grass-roots life of our place and time. Participation: I love the word and meaning behind it. When I took my first senior role in the Uniting Church our team renamed itself “The Participation Resource Unit.” And the point I'm making in this little address is that – whether coming from a religious or non-religious perspective – we are slowly getting aware of the power of participation. NEEN is a “participation resource unit” for the grass-roots community sector – whether religious or non-religious in orientation. The climate and energy justice challenges of our future will not be solved by just buying something in from somewhere “over there.” Every thread in the fabric of society has a contribution to make in a great reweaving. NEEN is here to help you and your organisations intertwine yourselves in that, as active participants! I wish you all the best in this challenge to participate and it is my very great pleasure to launch NEEN in Melbourne.